Are you looking to up your social media game plan? What if we were to tell you that today’s consumers are no longer boxed up as ‘demographics’ but instead treated like individuals. How is your brand adapting to this shift? With the rise of this new social paradigm, we’ve revisiting the core of what social is all about: it’s Real, Personal, and Authentic. By now, you must be aware that Hootsuite has released its Social Media Trends for 2019. The annual report was based on their research conducted on more than 3,000 Hootsuite customers – ranging from large to small enterprises, and insights from interviews with dozens of industry analysts. It also comprised of reports and data from Edelman, Gartner, GlobalWebIndex, Forrester, We Are Social among many others. Seen the report, but it’s too much to take in? You’re on the right page! We’ve condensed it, sprinkled some ‘lime juice’ and voilà! 2018 was all about crisis management as Facebook tightens its measures on regulating security, transparency and accuracy. (Let’s not get started on the Cambridge Analytica scandal, shall we?) 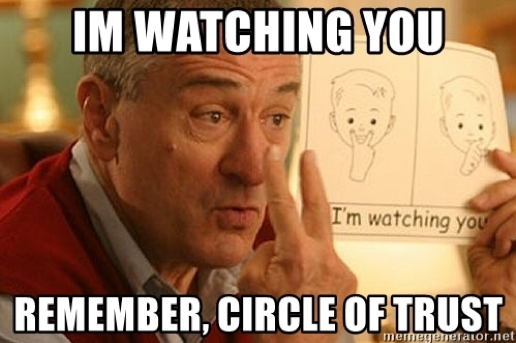 And lest we forget – fake news, purchased followers and bot accounts – they’re all over the channels! It doesn’t take long before the online residences grow in social scepticism and turn distrustful towards media outlets and celebrity influencers. The truth is – people want what’s real. If you’re a smart brand, start by focusing on generating transparency, quality engagement instead of maximizing your reach. Don’t just rely on influencers, go behind-the-scenes, bring out that employee with the star-quality, and get them to be your brand advocate instead! Let us ask you a question, today when you log in to Instagram: What’s the first thing you’ll view? Your friends’ Instagram stories or their feed post? Dare we say, it’s all about the stories! Did you know, story format is now growing 15x faster than feed-based sharing and will soon supersede them to become the primary way people share content among friends? If budget is a concern for your brand, it’s good to consider and test out what types of story content best resonates with your audience. Not all brands work well with high production and there is definitely value in less polished, more realistic stories. The main thing is to get creative and find ways to relate with your users, customers and communities. Nothing comes for free, it’s a pay-to-play era on social. However, with that said, 64% are identifying the decline in organic reach and the increase for paid budget as a huge obstacle. It’s even more shocking to know that when you scroll through Facebook, 1 out of 4 Pages are vying for your attention through paid media. Wait, there’s more…a total of 293,000 status updates are up on Facebook every minute! How do YOU cut through the noise and stand out? They key isn’t to throw your budget into the sea of social advertising, but to recognise that pairing your ad money with time, creativity and constant target optimising is the way to go. Take a leaf from Spotify and Netflix as they are always serving up personalised and entertaining banner ads. Your content should aim to get people talking and not simply ad broadcasting. Amplifying the best performing organic content with an ad boost often works best. All too familiar, right? Successful brands strive to weave in their products into your ‘moments’ and fit into your daily lives. The goal is to find ways to make shopping live, interactive and seamless – not forgetting, optimised for mobile. This is the reason why in China, in-stream live channels perform so well as it’s a great blend of peer engagement, trust and visuals. But how do they approach their target audience efficiently taking into consideration those different factors? Influencers seems to be what hits the sweet spot. The are recognised as soft advertisement with their accumulated credibility and approachability, giving the audience the sensation of a sincere recommendation. And because we know that seeing is believing we’ve dug out below the video of a Chinese influencer so persuasive in selling YSL lipsticks, you’ll covet after every colour after watching him swatch (even if you don’t understand mandarin). Another example is Mr. Baobao ,a key opinion leader when it comes to luxury bags in China. In just under 7 minutes, he made a sale of $3 million RMB (~$600,000 SGD) through online sales. Based off a survey of 6,000 people globally, 9 out of 10 consumers wants to communicate with businesses through messaging. With a collective count of near 5 billion monthly active users on messaging apps, it’s safe to say these app users have overtaken traditional social network users worldwide. While you may think, yes – this is the best chance! My brand should hop on the messaging bandwagon and start advertising on these channels. Well, think again. It might just backfire, and you may end up interrupting and annoying people. Instead, use this concept of messaging and figure how your brand can improve on one-to-one communication. Does this mean creating a chatbot like KLM Royal Dutch Airlines that automates responses to 30,000 online conversations in 12 different languages? 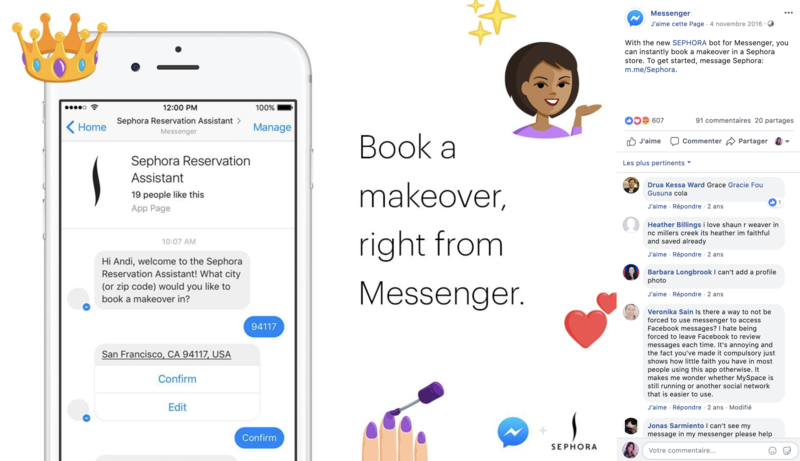 Or a booking assistant like Sephora Assistant on Facebook Messenger that reduced booking steps by over 60% and increased in-store bookings by 11%? Whichever your strategy, remember the key to great customer service is the opportunity to build empathy and rapport. Well it sounds like 2019 is an exciting year of experimenting and getting comfortable with new technologies! Don’t be afraid to test out and if you’re unsure on how to get your brand started on Social Media? Drop us an email and speak with us! We’ll be happy to share more on what LIME has to offer for your social media presence.